A couple of honorable mentions here. 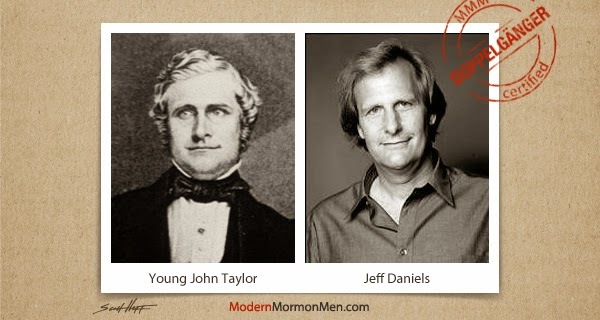 Young John Taylor also looks a bit like everyone’s fourth favorite Mormon actor Kirby Heyborne. Like John Taylor, Kirby’s also got a set of pipes on him. 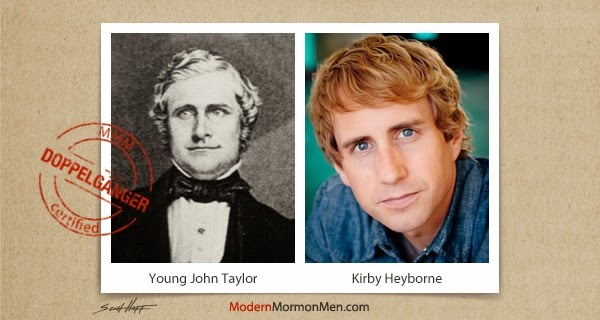 I often joke these doppelgangers might be related, but chances are higher than usual that Kirby really is a descendant of John Taylor. Let’s ask him! And is it just me, or is there some Ryan Gosling in there? 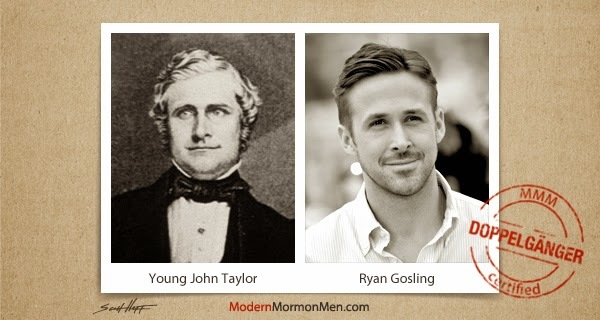 (Another Mormon actor!…um, kind of.) I’m guessing he can sing too. Both Ryan and John lived in Ontario, Canada. Ryan’s been shot in the movies, and John was shot in real life (maybe). Also, Ryan Gosling won’t eat his cereal, whereas John Taylor ate it every morning in the temple. Scott Heffernan is a graphic designer and photographer in Seattle. He works on the creative team at Archie McPhee doing all manner of strange things. He grew up a child of the ‘80s in Salt Lake City, served a mission to England/Wales, and got a degree in American Sign Language from the University of Utah. After marrying his sweetheart, they moved to Seattle and had three beautiful baby boys together. He loves toys, skateboarding, and thrift store shopping and has impeccable Modar. Twitter: @ScottHeffernan. Tumblr: KolobKitsch.com.